We do also consider stories and poems over these lengths, but arrange price by discussion. Please see the pricing section below for full details. The team will consider critiquing novels, but we often suggest starting with the first three chapters, rather than paying for a whole book to be read. This saves you money and allows the team to make suggestions of improvements that you can then apply to your whole book. Your stories and poems will be read at least twice. The first time through, we just want to gauge the flow, see if we identify with the characters and if there is a satisfying conclusion. Then we reread, find mistakes and highlight areas for improvement. You’ll receive a comprehensive report as a Microsoft Word document, which will contain a detailed critique, summarising our overall thoughts and giving extensive feedback on all significant elements of your story / poem. All criticism is constructive. While we might point out faults or areas for improvement, the feedback you receive will be positive and encouraging. For more details, please see the FAQ section of the page. Here are details of our critique and proofreading team. First, the ladies. 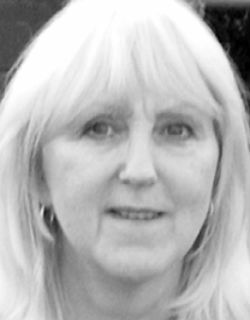 Catherine Assheton-Stones has short stories published in anthologies, print magazines and online magazines. She’s been involved in giving feedback on fiction for many years in the London Writer’s Café group, as well as on the Writer’s Forum part of Jericho Writers. She also has magazine articles and reviews published in print and online. You can learn more about Catherine on the main Meet The Team page. Dr Lynda Nash is a tutor, mentor and freelance editor. She has a PhD in Creative Writing and is the author of several books for adults and children. You can learn more about Lynda on the main Meet The Team page. Mel Ciavucco is a Bristol-based writer who has been published online and in print many times. She has made appearances on BBC2 and Radio 5 Live. She is a judge for the To Hull and Back short story competition. Mel has been a member of writing groups for over seven years and has critiqued short stories, novellas, novels, scripts and non-fiction. You can learn more about Mel on the main Meet The Team page. 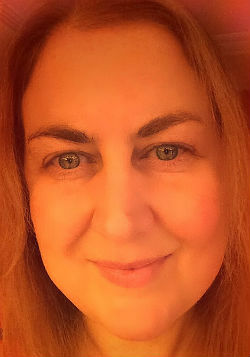 Sarah Doyle is Poet-in-Residence to the Pre-Raphaelite Society, and is co-author of a poetry collection, Dreaming Spheres: Poems of the Solar System (PS Publishing, 2014). 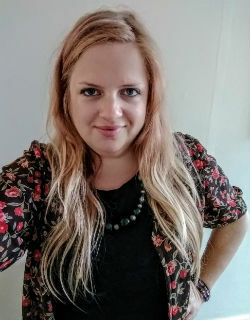 Sarah holds an MA in Creative Writing from Royal Holloway College, University of London, and has been published widely in magazines, journals and anthologies, and placed in numerous poetry competitions. 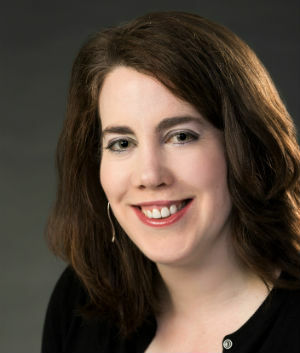 Sarah is an experienced professional critical reader, providing robust yet sensitive critiques on poetry manuscripts of all forms, and offering practical advice on where and how to submit work. You can learn more about Sarah on the main Meet The Team page. Allen is an award winning editor and a prize winning poet who specialises in science fiction and fantasy. He is the author or editor of fourteen published books. He is the judge for the annual British Fantasy Society Short Story Competition. He works as a creative writing tutor, with six groups currently running across north London. 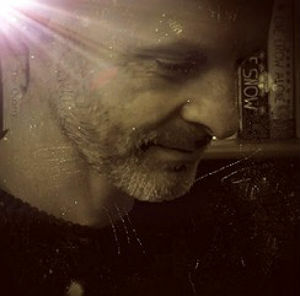 Chris is a multi-award-winning short story writer. He is also the author of How to Write a Short Story, Get Published & Make Money, which has been an Amazon bestseller. Chris runs this website. He started these writing services in 2013 and, until 2018, undertook all the critiques himself. When his workload became unmanageable, he invited expert proof-readers to become part of a select critiquing team. He still undertakes critiques on occasion, but now primarily focusses on administrating and marketing the services his website offers. You can learn more about Chris on the main Meet The Team page. Edward Field is an editor, with 15 years' experience, and the author of Permission to Rage: The Book on How to Complain Effectively, as well as three children’s plays currently on the South African curriculum. 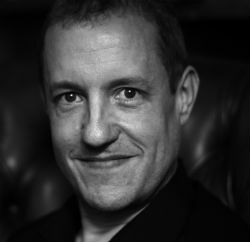 He writes and edits fiction, non-fiction, speeches, corporate presentations & brochures and his work has appeared in anthologies, websites and publications including The Stage, Breathe and Reflex Fiction. You can learn more about Ed on the main Meet The Team page. All prices are in Great British Pounds (GBP). The first table gives prices for short stories, novellas and novels. The second table gives prices for poetry. Payment is made via PayPal. You can also pay by bank transfer. Full details can be found How to Pay and Submit section further down the page. The proofreading fees are calculated to allow us the necessary amount of time to thoroughly review and critique your writing. Each story/poem is read at least twice, which is time consuming. All comments, advice and tips are carefully considered so you gain the most out of the service. Make your payment via PayPal using the buttons in the table above. Once you have made your payment, you will be returned to this page. You do not have to have a PayPal account and can pay by credit card, debit card or even direct debit. We use PayPal because it is secure, safe and protects your personal information, ensuring a safe transaction. You can read more about PayPal in the FAQ. You can also pay via bank transfer. If you would prefer to do that, please contact me. Once you have paid, email your story as a Microsoft Word document (as a .doc .docx or .rtf file) to chris@christopherfielden.com. Please state your name, contact details and any other information you feel necessary about your story. If you can't supply a document in the required file format, please email me - we can usually find a way around it. Chris will reply to your email within 3 days to let you know he's received your story safely. If there are any problems he will let you know. Don’t worry, Chris checks his spam folder too! If for any reason you do not hear from him within 3 days, please get in touch. On occasion, Chris travels with work and takes holidays / vacations where he has no internet access. This is rare, but in these instances he sets up an 'out of office' reply on his email, letting you know if there will be a delay in his response. If you need any more information, please check the FAQ below, or you can email Chris. This service allows you to have your writing proofread and critiqued by highly experienced, published authors. You’ll receive detailed comments based on their real life experiences. By receiving constructive criticism you’ll be able to improve your stories and poems and develop your writing. You’ll also increase the likelihood of achieving publishing success, seeing your work in print and earning money from writing. If your story is strong and we know of a relevant short story competition, magazine, or any other publishing opportunity suitable for your work, we will suggest them to you as part of the service. We will never give any of your personal information or writing to anyone. Anything you send us is treated with the utmost confidence. Your privacy is respected at all times. If you want, Chris can add your email to his database. He sends newsletter emails out, on average, once every 2 weeks. If you do not want to be added to the mailing list, simply let him know when you submit your story. If you do decide to receive newsletters and change your mind later, there is an easy unsubscribe option in every email sent out, so you can remove yourself immediately. We aim to proofread your story and return your critique within 6 weeks (42 days). Often, the turnaround time will be quicker than this. We will try and give you a more accurate idea of timings when replying to your initial email. Please can you give me some more details on what I can expect from this service? Yes! You will receive a detailed critique containing comments, edits and suggested improvements for your consideration. These are all provided in a Microsoft Word document. The edits will be suggestions regarding fixing typos, spelling mistakes, incorrect wording, grammar and sentence structure. We sometimes use Word's comment boxes to make annotations regarding certain sentences, paragraphs and sections within the story. The sentences / paragraphs will be highlighted and the comments will appear in a box attached to the highlighted area. This makes it very easy for you to see what the comments pertain to and review them. Once you’ve finished considering a comment you can simply delete it. In addition to the above, at the end of the document we will summarise our thoughts on your story/poetry, pointing out strengths and weaknesses. All of this will be delivered in a positive manner. We strive to encourage writers, not offend them with unnecessary negativity. We appreciate that some writers using this service will be beginners and always keep this in mind when providing comments. Where appropriate, we will let you know if we think your story is suitable for submitting to a specific competition or magazine that we're familiar with. We understand a lot of new writers can be nervous about engaging with this type of service, as they don’t want someone they don’t know telling them their writing is bad. The team always try to keep all criticism constructive, positive and encouraging. Everyone has different styles and levels of knowledge regarding writing. We will simply point out areas for improvement. Once you’ve digested what we ’ve suggested, you will be able to make your story better and give it a better chance of publication. Part of any critique is personal opinion. You may not agree with everything we say. Good! We don’t expect you to. But you will have considered an outside opinion, which can only help your writing progress. 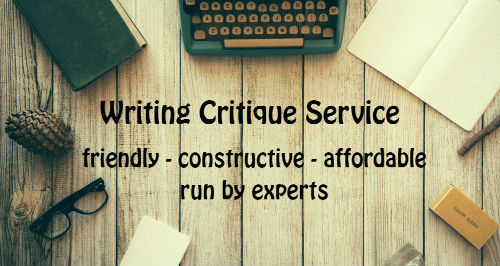 What is the difference between your critique service and your editing service? A critique is a big picture analysis, so it should be conducted before a comprehensive edit. Our service gives a broad assessment of your manuscript. You receive advice on how to develop a stronger narrative, better pacing, more engaging characters etc. Our copy editing service is a thorough, line by line edit of your manuscript. We take an in-depth and comprehensive approach to tackle any grammatical problems in preparation for publication. You can learn more about our editing service here. We do not currently proofread non-fiction. This may change in the future. While we will suggest edits, we are unlikely to pick up every typo in your work. We recommend using spellcheckers and diligent proofreading. We will not rewrite your story for you. The suggestions we make are for you to consider and then use to revise and improve your writing yourself. 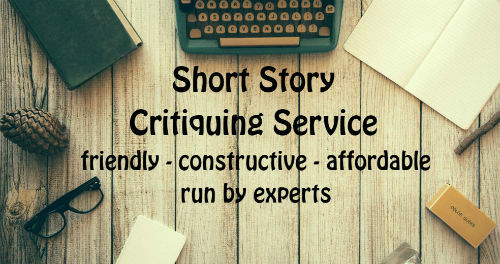 Why do you offer a short story proofreading and critique service? When Chris launched his website way back in 2011, he started to receive regular requests to proofread short stories and give his opinion on how to improve them and make them more publishable. Sadly, he had to turn a lot of these proofreading requests down as he simply didn’t have time to offer this type of service free of charge. However, due to the frequency of the requests, he decided to offer a paid short story proofreading and critique service on the site as it was obvious it’s something his website users wanted. In 2018, Chris restructured the service, to improve the quality and scope (and to make his ever increasing workload more manageable). 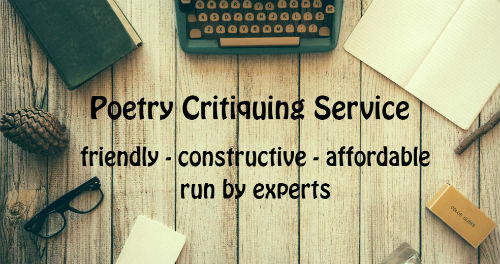 He put a small team of experts together enabling him to offer critiques for poetry and longer stories, in addition to offering a critique service for short stories. Why do you read the stories/poems twice? To fully understand a story, and to see if all the conflict and questions raised are resolved, you have to read a story from beginning to end. It's the same with poetry - to gain an objective view, you have to read a poem in its entirety. Chris has received critiques in the past where comments are made towards the beginning of a story that are irrelevant, simply because the proof-reader hasn’t read to the end before making them. He found this frustrating. Therefore, we read through your work a minimum of two times, so comments are based on the story/poem as a whole. The team find this provides a better quality critique and more useful advice for the writer. Why do you use PayPal to receive payments? PayPal is a world leading payment service provider. They offer a secure service, ensuring that monetary transactions are quick, easy and safe. You can set up an account and pay via your bank in any currency, or you can simply pay by debit or credit card without setting up an account. Whichever payment method you prefer, you can be confident that your personal information is safe. Setting up secure payments within this website would be very costly and is not something we're currently able to do. PayPal are trusted and widely used, most famously being eBay’s preferred payment service provider. For more details, check out the PayPal website. The proofreading team are all highly experienced writers. They've all written extensively in their field of expertise and have had their work published through a wide variety of magazines, competitions, books, journals, websites and more. We know, this doesn’t mean we can guarantee that you’ll be published, but it does mean that we can offer you advice based on real-life experience and help give you the best chance of achieving publication. Below are some testimonials, kindly provided by writers who have used Chris's proofreading and editing services in the past. Prior to 2018, Chris used to undertake all the critiques himself. Due to commitments to other projects, this just wasn't feasible to maintain. So, early in 2018, Chris put a highly experienced team together to improve the service and make his workload manageable. The new service was launched in February 2018. Therefore, older testimonials will refer to Chris. Newer testimonials will refer to other members of the team. Thanks very much. That was a really useful crit with lots of excellent, detailed comments and advice on where the story can beworked on. I appreciate Lynda’s input. Thanks so much for such a detailed critique of my story! I have accordingly made some extensive revisions in line with many of your suggestions. They were most helpful and I am so grateful to you for your hard work in presenting such a detailed analysis. I have learned so much from your critique which will be of such value in considering my other stories. Thank you for email and attachment. Kindly convey my gratitude to Catherine for the careful comments, editing and feedback. It has been most useful and I will be spending time going over the document to improve my work. In the last month or so, while awaiting the critique, there has been an opportunity to study the craft of short story writing. Therefore, Catherine's comments have come in at the right time. I have been able to apply them to the story and better understand how to take forward the others. Once I've polished a few, I hope to submit them for a further critique. Thank you for the excellent service – the patient and detailed feedback have been most helpful. Thank you so much to providing such a helpfull critiquing service. I loved it. Many thanks for your and Lynda’s prompt reply. The critique is going to give me plenty to think about, and plenty of rewriting, but that's normal. I will edit the story paragraph by paragraph with the critique in my other hand. Please give Lynda my grateful thanks for a thorough and informative job. Thanks, thanks, thanks. Please pass on a big thank you to Sandra. Her comments and advice have been very constructive, positive and haven't stirred the demon of doubt. The critique has left me feeling that I could enter competitions without being embarrassed about people reading my story. In addition, it has reassured me that writing a novel is attainable. Thank you again to you and your team. Both of these reports, different in character, are very helpful. I particularly like the attention to detail in both and I will be spending some time going through them again with the text. I will certainly use this service again and I wish you well with it. Dear Chris and Allen, thank you for an excellent, honest critique – very detailed and full of practical suggestions. It has taken me until today to read all the comments Lynda made with regard to my story. When I first opened my email from her and saw all the comments I panicked. But today, instead of cringing at the mistakes, I have laughed. In my head, I know what my character is thinking etc. and I assumed the readers would know this. I am very disappointed with my creative writing teacher who critiqued my story and didn't find any errors or give me any direction with regard to adding to my characters' personality. She thought it was good enough to be printed in a magazine. I'm pleased I sent it to you first. Many thanks, Chris, for Lynda’s helpful critique. Hi Chris, just wanted to update you on this. The contest results are in. 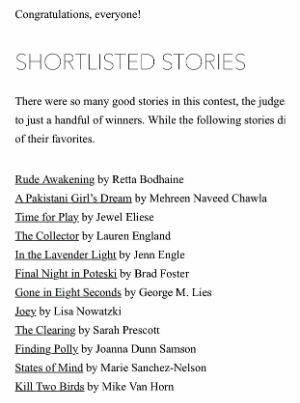 While I didn't win, my story made it to the shortlist of the judges' favourite pieces. Around 500 participants competed. So the result is a little bit of both bad and good news. Thank you so much for all your help! Your critique is very helpful and constructive. Greetings Christopher. I had a couple of stories corrected by you, and guess what? I've been published! I wanted to thank you for your help. I would never have done it without you. It's a small step, but an important one nevertheless. I would strongly recommend Chris’s proofreading services to any writer, experienced or otherwise. For me, honest and professional feedback is not an easy thing to come by, but this is exactly what Chris provides in a comprehensive, constructive and friendly way. I’ve used a couple of other services to proofread my work (all of which were very useful), but I would say that Chris’s was the most incisive and thorough, in both his high-level comments and suggestions, but also in proofreading the manuscript itself. He’s also a very amicable and patient chap, providing follow up, answers and advice whenever he can. This makes a huge difference too. Well, it certainly did to me anyway - one of the stories that Chris proofread for me has recently been placed in a competition and is going to be published. Chris's editing service has been an excellent investment all around. The stories I submitted were returned with detailed comments, advice and suggestions along with links to help me better understand the mistakes I was making. This man does a fantastic job. He also provided me with links to potential publishers that might be interested in the stories I was working on. What I found impressive was his willingness to learn the medium I submitted my story in. I wasn't able to go down the normal route so he took the time to learn Google docs in order to perform the editing service. I've rarely, if ever, met a company willing to take the time to learn a skill on behalf of the client. Some people search far and wide for someone like Chris, I lucked out early on. Now if anyone knows a good mechanic I'm all ears. Nothing is more important for a new writer than to improve their skill via good constructive feedback. There are many groups out there willing to help, but sometimes you need a true professional. I have found that professional in Christopher Fielden. I have learned more about writing with one corrected short story than anywhere else. Short stories are the first thing that a writer needs to master in their career and with his help I feel I have taken my first step in the right direction. Thanks Chris. Money very well spent. Brilliant job. All clear as day and very helpful indeed. I read through your critique a couple of times and it's really very useful. It's great to get your feedback, comments and thoughts. I'm very glad you enjoyed the story too. Funny how much you can miss in your own work - I don't know how many times I've read through the story (it's an awful lot). Aside from all the great comments and advice, just having a second pair of eyes to go over it is absolutely invaluable as there's so much you've pointed out that, being so close to it at the moment, I just didn't see. Anyway, thanks again for the absolutely stellar job and for getting it done so quickly. Really helps so much and is very enjoyable to go through. I was just emailing to say thank you for proofreading through my story and I found the comments very useful. I was impressed with the level of detail you went into on the story and will certainly be using your services again, I have a series of short western series focussing on one character that I'm thinking of releasing in the future as well as other short stories. Keep up the good work on the website as well, it's very helpful. Thanks so much, this is really helpful and constructive, as well as encouraging. What an amazing amount of info you've given me. It's not difficult to see why judges of short story / flash fiction competitions reject so many entries. I've done lots of editing already, but I'm going to put the pieces to one side to stew for a couple of days & go back & re-edit some more. You've been really thorough, and I know I can make some valuable improvements to these stories, and approach new ones from a much more informed angle. I've given your details to some of my course colleagues, I think many new writers would benefit from your expertise. I loved the first story in To Hull and Back by Mike Scott Thomson. Such talent. 'Death of a Superhero' was awesome. I shall read the book again, for education rather than entertainment alone. Thank you for everything. I'll certainly be in touch in the future. Christopher, I just wanted to say many thanks for reading my story and for providing great, useful feedback. I have taken on board all of the comments and will now start to edit and try and polish off the story so I enter competitions. I appreciate your help. Very impressed by Christopher's critique service. He offers comments and suggestions, but where he is offering an opinion about something he will express it as such. There are some writing critics who act as if their word is law, and writing is a very subjective business. Christopher offers constructive criticism that is actually constructive, and he is very positive and encouraging when he sees something he likes. That's also very important for a writer - to know what they're doing right. He will offer advice on which competitions to consider entering - also very helpful. Thanks Christopher! Christopher Fielden's short story proofreading and critiquing service is excellent and I can sincerely recommend it to anyone serious about writing. I sent my short story to him to be proofread and critiqued, and it came back within 3 weeks as promised with most helpful comments. I found the feedback to be thorough and detailed. Being an aspiring writer, advice and tips on how to tighten the story, what works and what needs to be rethought, and what to avoid in order to improve the chances in getting published were extremely helpful. All comments were very constructive and encouraging, and now I feel more confident about my writing and in submitting my story to a short story magazine. Hello Chris, I've often stumbled across your site when surfing, as I've just started writing short stories. Your site is definitely very helpful! So a big thank you for that. Hi Kate. Great, glad to hear you find the site useful - thanks for letting me know. Lots of writers engage and use the critique service. The prices are not exorbitant. A well thought through critique, often thousands of words in length, takes time to consider and prepare. I think the prices are cheap - I've often ended up working at below minimum wage when preparing critiques. It saddens me that writing and the services surrounding it are not valued more highly, to reflect their true worth, the expertise involved and the time they take. Hi again, Chris, sorry to confuse, I meant the general lack of available and affordable critique services generally. I agree this type of service is of great value, and can see from the feedback that your critiques are highly commended. The only moot point is the question of price. Critiques don't have to be lengthy and detailed. I recently submitted a short story, paying an extra £10 for a critique, which I certainly viewed as professional, succinct and helpful. It's all down to affordability, rather than the general perceived value of writing services. Hi Kate. I see, sorry for the misunderstanding - I got the wrong end of the stick there. I guess it depends what you want from a critique - the level of detail and expertise of the person providing it. As a writer, I've used Writers' Forum regularly. When you submit to their competition, you can pay for a terse critique which is really useful - it helped me to win the competition. From memory, I think it's about £6. So that's a good one to look at. I've also used JBWB in the past. They were cheap and the critiques were useful. JBWB is run by editors with a lot of experience, so offers good value, in my opinion. I appreciate that our in depth critique style might not be what everyone is looking for, or suitable for all budgets. I may consider adding terse critiques at cheaper prices in the future, as time allows - thanks for putting that idea in my head. There are opportunities for free critiques too, using platforms like the ones I list in my free critique resource. You have to bear in mind that the feedback on those platforms could come from anyone, but they can be very useful, especially for those just starting to write fiction. Anyway, thanks for getting back to me - much appreciated. I hope this reply is more useful. Hi Chris, God only knows how badly the story I'm polishing needs a Critique Service going over. Thing is, it's a fiction /non-fiction [visual arts] mash up... and you say you don't 'do' non-fiction critiques. Is there some wriggle room? Hi Shay. If the piece is fictional, it should be fine. What we don't do are essays, news articles and that kind of thing. If you're still unsure, please can you send me a bit more detail about the piece (a synopsis)? Then I can run it past the team. Hi Glynis. Unfortunately we can't accept handwritten material for critique. I'm happy to try using programs other than Word, if that helps? Thanks, I'm having a go at Word. Seem to have found my way in.